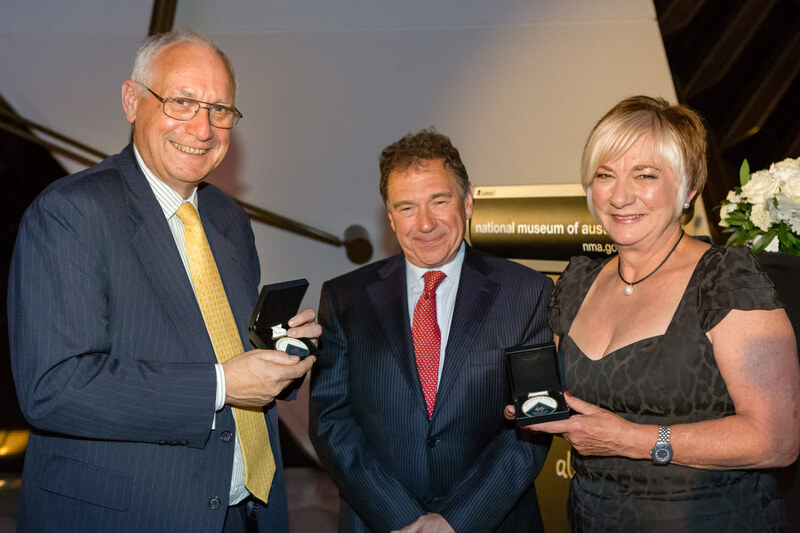 The Law Council of Australia has announced the Honourable Geoffrey Eames AM QC and Ms Raelene Webb QC as the recipients of the 2014 Law Council of Australia President’s Medal. Mr Eames was nominated to receive the award by the Victorian Bar in recognition of his longstanding commitment to making a difference in the law and in particular in its application to the Australian Indigenous community. Award recipient, Mr Geoff Eames, said he was deeply honoured to receive the Law Council President’s Medal and during his acceptance speech reflected on his experience as Chief Justice of Nauru. “I am honoured to accept the President’s Medal because it allows attention to focus on the continuing struggles that judges, magistrates and legal practitioners must frequently endure in order to defend the rule of law. Ms Webb was nominated by the New South Wales Bar for her extraordinary leadership within the legal profession, contribution to Constitutional and Native Title Law issues, and contribution to women in the law and reconciliation for all Australians. Currently serving as the President of the Native Title Tribunal, Ms Webb has also served as President of the Northern Territory Bar Association from 2009 to 2012 and as Treasurer and Vice-President of the Australian Bar Association. In accepting the Medal, Ms Webb said she felt honoured and privileged to receive the award jointly with Mr Eames. “I marvel how it is that a shy country girl coming to the law in mid-life, finds herself here receiving this prestigious award and in the company of so many distinguished lawyers who have themselves contributed so much to the legal profession, both personally and through their work with the Law Council of Australia.